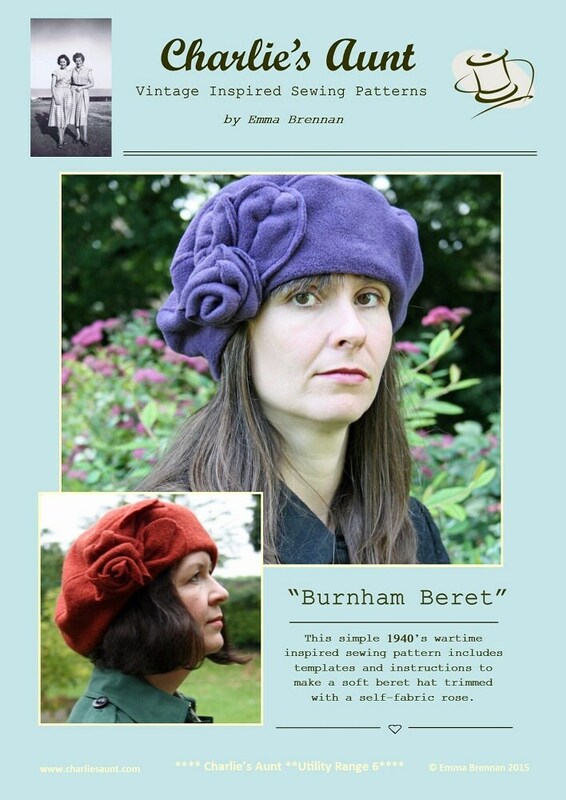 This is a PDF sewing pattern for the ‘Burnham Beret’ which is inspired by the nostalgic wartime styles of the 1940s. 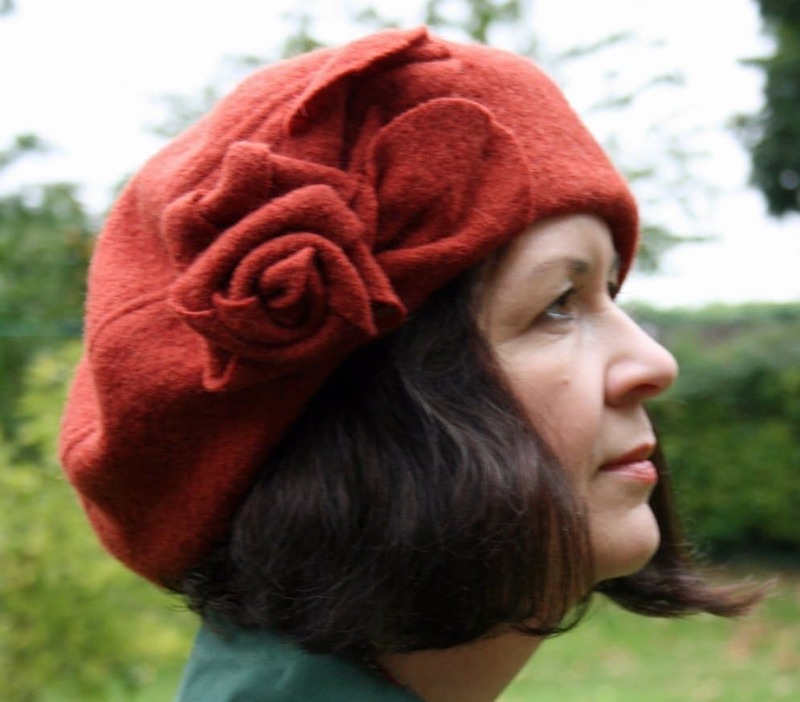 This soft, squashy, simply-constructed hat is lined and features a self-fabric rose and leaves. 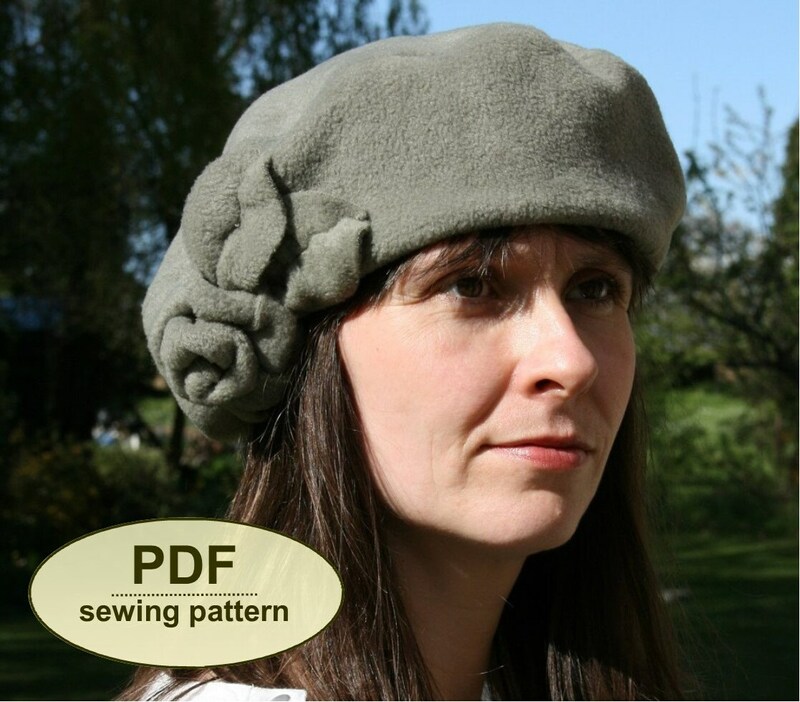 It can be made using soft boiled wool fabric or polar fleece. 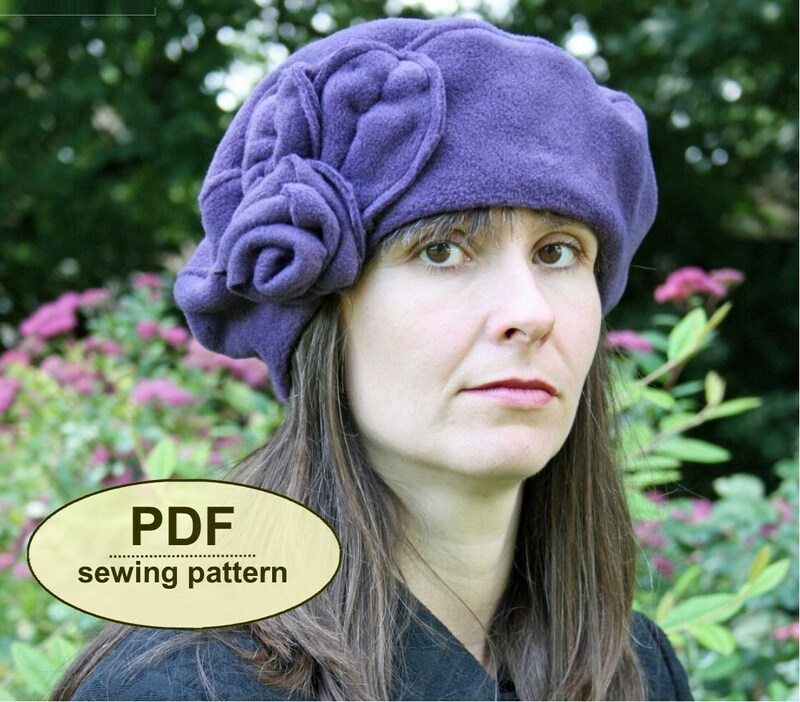 The pattern is offered in a medium size (to fit approx. 22 inches/56cm head size) with instructions on how to make it larger or smaller. 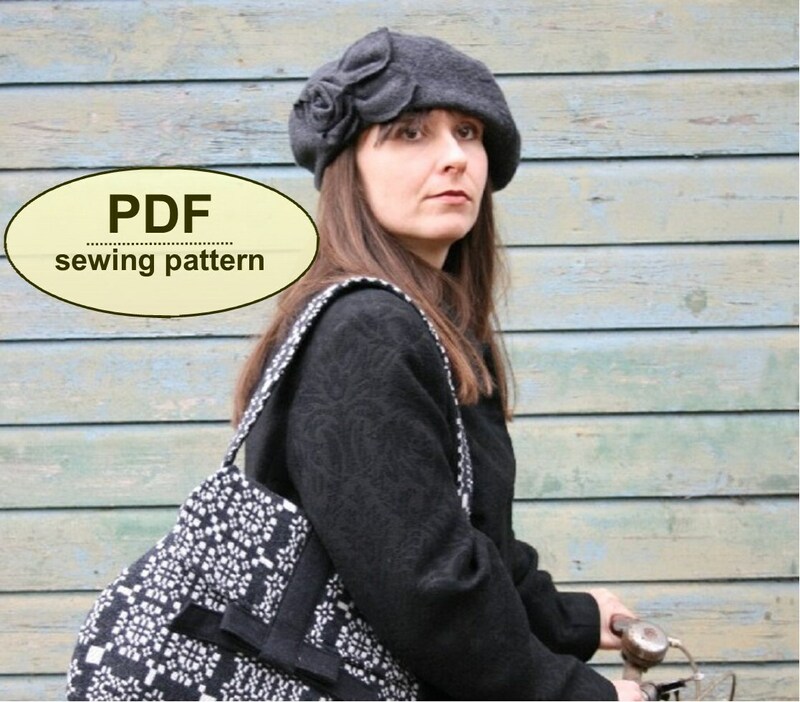 This PDF has 12 pages—7 pages including the cover, general, cutting out and step-by-step instructions, and 5 pattern sheets with the templates, which you must print and cut out. All of the templates are actual size.